Remmi Smith is a Chinese-American teen entrepreneur. She is the co-founder of Cook Time with Remmi, a health based company for kids and families, and Chef Club Box, a subscription snack box service delivering healthy, on-the-go snacks each month. She first started in 2008 at the age of eight years old by hosting an online cooking show featuring kid-friendly and healthy recipes. Cook Time with Remmi was then picked up by Cox Communications and aired on the Local Cable Channel in the Tulsa, Oklahoma Market. The show focused on a kid teaching other kids how to cook healthy so they could eat healthy – combating the childhood obesity epidemic in the United States – and on encouraging kids to have fun in the kitchen. Cox aired the show on the local cable channel 20 times a week. In this interview Remmi shares where the idea for her entrepreneurial journey began and how her passion is becoming a reality. From this teen entrepreneur, we'll take a look at how to have a balanced life by creating a concrete schedule and do anything to make it happen! I think the best advice I could give is to just do. You can make anything happen, so plan a little bit, then do something, and since mistakes are bound to happen, learn from them, fix whatever needs fixing and do something else. It’s a continuous process of figuring out what works and what doesn’t and the best way to learn is from experience. 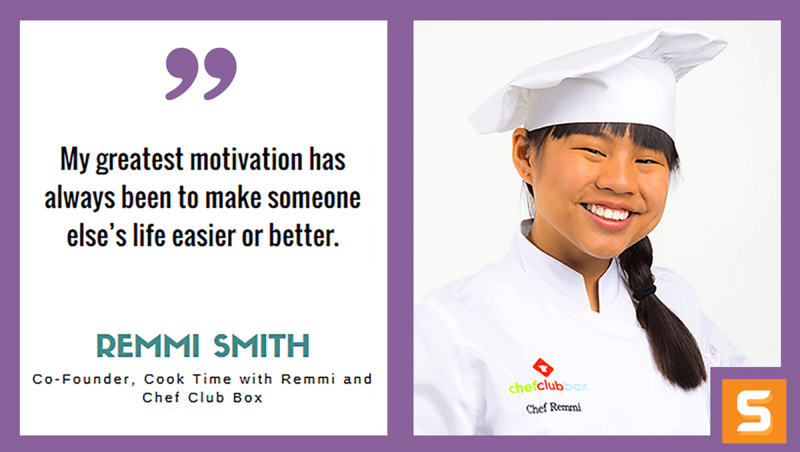 What motivated you to start Cook Time with Remmi and Chef Club Box? How did the idea come about? Originally, Cook Time with Remmi started out as a fun and unique way for me to cook and teach other kids how to as well. Then, as I learned more about the childhood obesity epidemic, I focused its mission towards teaching kids how to cook healthy and eat healthy. Since then, my motivation has been sharing my passion with the world and helping to make it a better place. Chef Club Box actually came out of a “back burner” idea. This means that the idea of a "snack box” had been thrown around, but it wasn’t really a focus, until August of 2015. I started Chef Club Box mainly to have a new, tangible product to pitch at Get Started Tulsa, a pitch series sponsored by Inc. Magazine and Cox Business. Both ideas spurred from my love of food and helping others. However, I must say the original “snack box” idea was my sister’s and then when the competition came around, we worked together to evolve it to Chef Club Box, what we ultimately pitched and won the competition. What do you enjoy most about cooking? Is there something you are most proud of? I think the best part of cooking is the idea of creating something and being creative. With cooking, its basically like you have free reign to combine any foods together to make something that may or may not turn out delicious, and the mystery of the outcome is always fun. I think I’m most proud of being able to share my love of cooking with other people and translate it so they can maybe be as passionate as I am. When you started Cook Time with Remmi and Chef Club Box, how did you plan everything out? Is there something specific you wanted to accomplish? I think the original goal for Cook Time with Remmi was a web-based series, really just a fun and educational way for kids to cook. Once people were interested, it became more concrete and we created a business plan to hopefully earn a national show. Chef Club Box was a different approach. Since the competition produced the idea of the Chef Club Box, we created a business plan from the get-go. Initially, we wanted to earn credibility, so we contacted hundreds of mom bloggers, for our main target market, moms, asking for them to review the box in exchange for a free box. After we earned the stamp of approval by several bloggers, then we pushed the box to market. 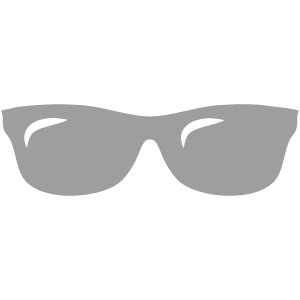 Now, we’re working on really advertising and getting that big marketing push. You’re competing on Chopped Teen Tournament, Season 3. How do you prepare yourself for the competition? Actually before the competition, I worked with a couple chefs that I know around town. At first, I wanted to learn a bunch of fancy new techniques and dishes, but they kept iterating for me to focus on what I already know and taking that to the next level. So, for a few weeks before, I improved my technique and developed a better understanding of food, I think. Occasionally, my mom or one of the chefs would give me 4 random ingredients and 30 minutes to prepare something. My first time was not very successful, but soon, I became more adaptable with various ingredients. What is the toughest decision you’ve ever made when starting your business? How did it make you better at the end of the day? My toughest decisions have been when I have questioned myself about continuing my business when things didn’t go as I expected. I have experienced this more than just once. I am happy that I was able to move through my disappointments and continued forward. I started this as a hobby and now I have a business. What does your day-in, day-out look like? Is there any specific habit that has helped you become a better cook/entrepreneur? I am a pretty typical student getting up at 6:30 AM and attending classes until 3:00 PM. I am a representative for the Link Crew at school, so I usually have activities after school at least one or two days a week. 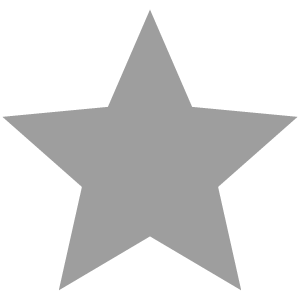 I am also a gymnastic instructor one day a week. After school or after my activities, I am pretty engaged in my business. I am in charge of my social media platforms and spend time with that every day. I also cook and experiment in the kitchen almost every day. On the weekends, I also work on my business whether it is packaging my salad dressing at my commercial kitchen or doing research for my blog. 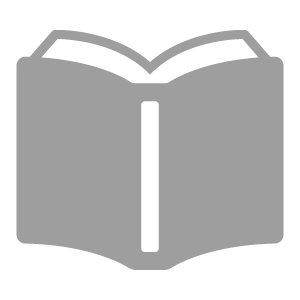 I am fortunate school comes easy for me, as it allows me time to focus on my business. Who has been your greatest influencer along your entrepreneurial journey? How did they shape Cook Time with Remmi and Chef Club Box? My mother, Nancy is my business partner and she has had the most influence on my journey as an entrepreneur. However, one of the things I have learned from Nancy is taking advantage of every opportunity. Fortunately, I have several mentors that have shaped my thinking and my business. The biggest influencer for Cook Time with Remmi has been as a result of my relationship with Sodexo. I am the National Ambassador for Health and Wellness for Sodexo. In that capacity, I get to work with 500 Executive Chefs and create recipes that are served to 3.5 million students. I have also created 4 video series for them that are shown in 4000 schools across the country each day. With Sodexo’s support and belief in me, I have developed my business way beyond my wildest imagination. How do you balance life, work and studies to remain connected and available for your loved ones? Any advice for me? For me, time management has not been my greatest skill. That being said, I think I’ve developed a pretty good system to balance life, work, and studies. Since I attend high school, I go there 5 days a week. After school I work on my business, usually a lot of content creating for Chef Club Box and Cook Time with Remmi. I also do a lot of work on the weekends, especially since I do a lot of presentations and demonstrations around the country, it’s best to schedule those on weekends so I don’t miss too much school work. But, I also go to a school that is very supportive of my work, so if I do have a conflict on a school day, my teachers are willing to work with me and help me catch up. Aside from school and work, I always save time for my friends and family. It helps to keep me grounded and keep me from becoming holed up in my room or my office. I think the best advice I could give is just to have a firm schedule and when you plan on doing something, do it, whether it’s school, work, or life. When times get tough, what would you say motivates you to keep going? To not hit the snooze button and to keep working toward your goals. My greatest motivation has always been to make someone else’s life easier or better. I really enjoy going to schools and talking with the kids, especially, so when I have a tough time, I think of them. What advice would you give to our readers or young entrepreneurs out there who want to start a business in Oklahoma today? Where should they start? I think a great place to start is mentors. Find people in Oklahoma who may have expertise in your area of interest and reach out to them. Usually, a lot of grown entrepreneurs are generous and willing to offer their advice and experience to the next generation, but if they aren’t then find someone who is. Talking to people is a huge part of being an entrepreneur, so this can help build your speaking skills and make you a better entrepreneur. To learn more about preparing healthy meals for your kids or family, connect with Remmi through her Twitter!